Creatine is a protein composed of 3 amino acids (single protein building blocks) of arginine, glycine and methionine. Creatine occurs naturally in human muscles. You can also find it in food in white meat, red meat and fish. Creatine increases the supply of phosphocreatine in your muscles. Phosphocreatine is a storage of quickly available energy. This release energy is from phosphocreatine in the form of ATP (adenosine triphosphate). ATP is the fuel for every single cell! Your muscles can naturally accumulate around 120 grams of creatine, but with the help of supplementation you can increase its amount to 150 g. Is it worth doing? Creatine is associated with bodybuilders? If you want to have a firm, muscular body, you can also benefit from supplementation with this compound. Creatine is especially recommended for those who practice sports requiring short, intense efforts. The main effect of its use is to increase the muscles’ ability to produce energy during a violent effort (the so-called spurts). he plays team games that require quick reactions (eg volleyball, squash). If you care about visualizing your muscles, shapely arms, thighs or a flat stomach, creatine will help you achieve this goal more strongly. Do not be afraid that after introducing supplementation with creatine, your muscles will grow to a monstrous size. Even low doses can significantly improve performance during strength training. Muscles have a limited ability to incorporate creatine, which makes excessive supplementation senseless. 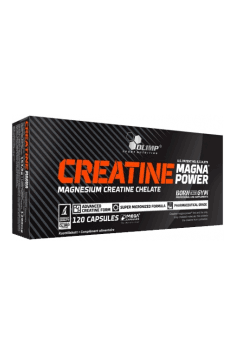 Creatine – monohydrate, creatine citrate or creatine phosphate? The most popular form of creatine is monohydrate – white, a water-soluble powder which is neutral in taste. It’s a stable compound, combining one molecule of creatine with a molecule of water. Other forms are also available on the market, for example, creatine citrate, creatine phosphate, creatine stacks. However, there is not enough evidence that these compounds are better absorbed or more potent in increasing exercise and muscle mass than creatine monohydrate. For women, the most effective is taking small doses of creatine, several times a day. Thanks to this, the chances of creatine intake are increased. The larger the one-time dose, the more creatine is excreted in the urine. Take 6 servings of 1 g creatine per day for 6 days, then use a maintenance dose of 2 g per day for 25 days. Take 3 g of creatine every day for 30 days. Creatine should be taken for 3-5 months. Then it’s worth a month break. You must know that creatine does not work for everyone. In 2 of 10 people the effect is unsatisfactory. Creatine concentration depends on which type of muscle fiber dominates. This feature is genetically conditioned. If you have an advantage of type II (fast-twitch) muscle fibers, you are better at responding to creatine. Type I muscle fibers (slow-twitch) does not benefit from supplementation with creatine. If after a month of using creatine you do not notice greater strength and endurance, do not take it. Creatine is good to eat to or after a meal. Digestion causes the secretion of insulin. Insulin makes creatine better and more slowly absorbed, which results in better results. Creatine is a well-studied supplement. Unfavorable effects of its use can be observed only after prolonged use of high doses. After stopping the supplementation, creatine levels are slowly returning to normal for a few weeks. During this time, a slight decrease in muscle mass and strength is observed, but ultimately both parameters remain at a higher level than before supplementation. You can read also: Monohydrate or creatine malate – which one to choose? Previous Post The 5 biggest mistakes you make while cooking diet meals. Next Post How to lose weight 10 kg? 10 steps that make you lose weight once and for all!